The construction of a traffic junction in the vicinity of the railway station (Ljublianska Street) began in Maribor. The cost of works is 9 million euros. 60% of the funds will be provided by the Ministry of Infrastructure, and 40% by the municipality. The work will be carried out by a group of companies that includes Pomgrad, SŽ – Železniško gradbeno podjetje Ljubljana and GH Holding. The planned duration of works is 16 months. Due to the construction works, the bus routes will be changed and some stops in the vicinity of the railway station will be temporarily cancelled. A bypass road for drivers of private transport and bicyclists will run along the Gorki and Moša Pijade streets, along the Titova Road and Pobreška Road. It is planned to dismantle the existing barrier crossing on Ljubljanska Street through the regional railway Maribor–Prevalje next to the Magdalenski Park and the University Clinical Centre of Maribor, because of which earlier drivers often had to waste valuable time. 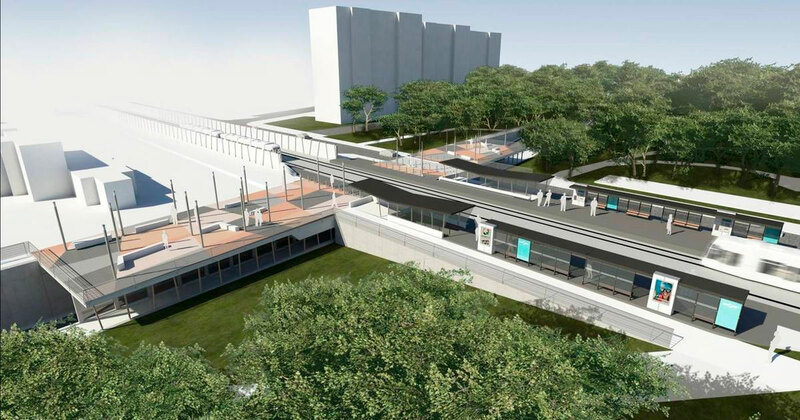 Then the railway station will be renewed, an intersection of Moša Pijade and Masarykova Streets with Jezdarska Street will be opened, and a bicycle lane separated from the roadway will be made. Over the new underground crossing, on both sides of the railroad tracks, two small markets will be opened. Unhindered movement of pedestrians and cyclists will be enabled from the University Clinical Centre to the Europark shopping centre. It should be noted that the construction of an underground crossing on Ljubljanska Street has become one of the largest infrastructure projects in Maribor in recent years. Meanwhile, last week, the main stage of reconstruction works on the roadway from the settlement of Hoče to Maribor was completed. This autumn, it is planned to continue repairs of the Lackova Cesta, which serves as a bypass road through the southern part of the city.